Ideal for working around electricity. The exclusive ALFLO rung joints offer Twist-Proof performance on the job. 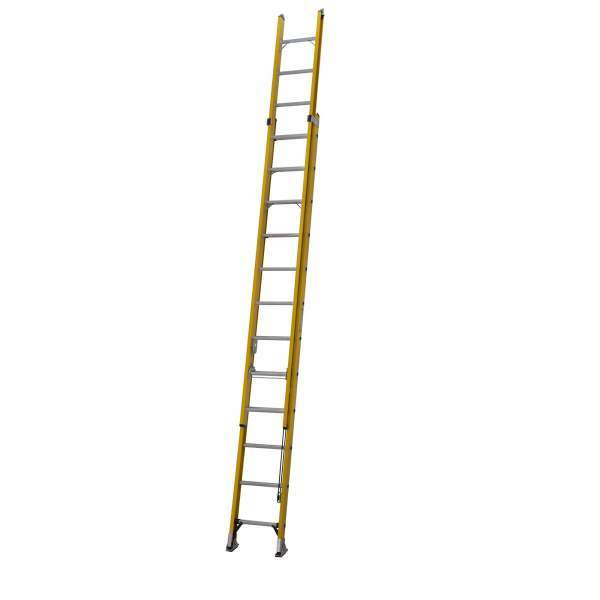 The Werner 77545 4.5m ALFLO Fibreglass Trade Double Extension Ladder has non-conductive rails making this ladder ideal for working near electricity. The exclusive ALFLO rung joint means TWIST-PROOF performance on the job and the dual action feet are for use on hard or penetrable surfaces and swivel easily. The fly section rails are pre-pierced at the top for easy field installation of accessories. 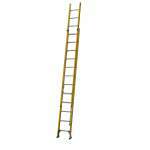 Suitable for Trade use and heavy duty industrial use. Safe Working Height Based on 1.75m (5ft 9in) as the average reach height of a person.